I've been under the weather to say the least over the past three or four weeks. 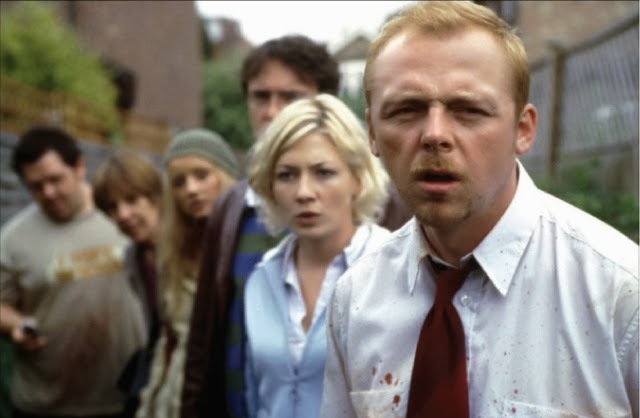 Most days I've looked and felt like an extra for Shaun of the Dead (ah, how I do love Simon Pegg). I feel better today. So much better in fact, that I decided to get in to a fight with the AGA and a burning hot pan and I now have a line of burn blisters along the tips of the fingers on my right hand. You don't realise how much you use the end of your fingers until despite soaking them in iced water for 30 mins they still feel like they are on fire. I digress. I have been running on a bare minimum of getting orders out and sulking back off to bed when I could and so haven't been blogging or getting much else done (thats a bit of a fib actually - I've re-read the entire Hunger Games set and slept A LOT). I have however just ordered lots of new materials for the coming year for the splendid new direction I'm taking the Alfies Studio brand. My smallest is at playgroup twice a week now and I'm starting to find my feet with business again. Next year will see some big changes as I begin to have 2.5 days (DAYS) a week to work rather than stolen moments and the twilight shift. I have already begun to shape my product offering and how I want to share my expertise and am excited about getting to work on some branding and event projects again now that I have more time. At the moment I have four spots open for large scale projects (wedding/event stationery, branding etc), if you have something coming up that you want to share with the world then do get in touch, I'd love to hear from you. I fear that it will be the new year before I manage to cover some things I've been itching to post about (such as properly sharing the new Alfies Studio branding) as I'm working on something very close to my heart (Hunger Games styled invites!) but for now wanted to share a discount code with you in lieu of missing Small Business Saturday and everything else that has been happening of late. Use the code 15JUSTBECAUSE at the shop (http://shop.alfies-studio.com) before 9am on the 20th December for 15% off your order. I hope you are all well and weathering the storms / colds / Christmas rush well. I'm so desperate for the colder weather now. Do any of you have snow yet?